An update from our friends at Lake Buena Vista Resort and Spa! 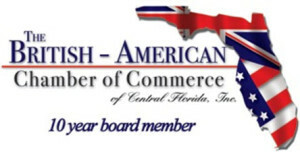 Not only does this community provide a 2 year guaranteed Lease-Back option, the Resort is also a designated EB-5 Visa Centre. We both wish all our Customers and Site Visitors a Very Merry Christmas and Hope you have a great 2017! The Lake Buena Vista team would like to wish everyone a very Happy Holiday. This has been a very busy year for the LBV team. We have attended many events meeting national and international people interested in learning more about our Resort and inviting them to visit and tour our successful development. We have hosted many group tours and seminars. Celebrating the 20th Anniversary of the Lake Buena Vista Factory Stores was a very exciting and fantastic event bringing us closer to our colleagues and patrons alike. It also gave us an opportunity to raise money for a very worthy cause, the Sunshine Foundation. Lake Buena Vista Factory Stores is proud to partner with the Sunshine Foundation Dream Village. The foundation’s sole purpose is to answer the dreams of chronically ill, seriously ill, physically challenged and abused children, ages three to eighteen whose families cannot fulfill their requests due to financial strain that child’s illness may have caused. Lake Buena Vista Factory Stores collected $800 in donations during their 20th Anniversary celebrations. The Lake Buena Vista Factory Stores’ owners, who are also the developers of the Resort, added $1,200 to the donation contribution for a total of $2,000 donated to the Sunshine Foundation! 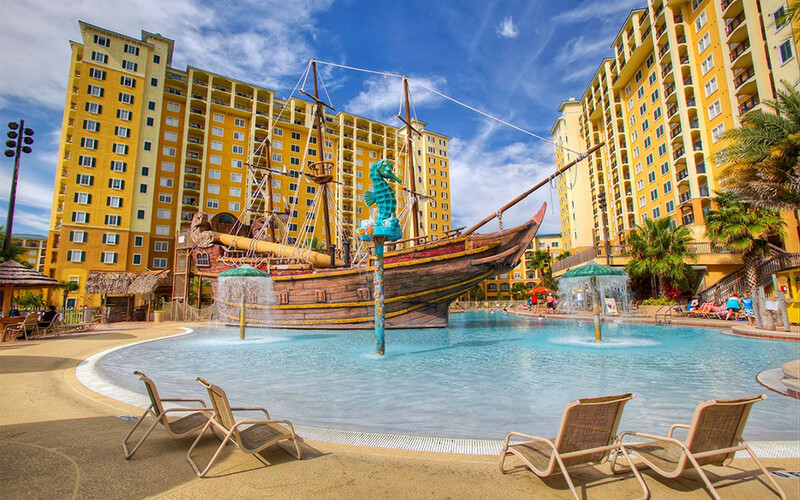 The Lake Buena Vista Resort is centrally located just over a mile from Walt Disney World and minutes to Universal Studios and SeaWorld. The spacious 2, 3, and 4 bedroom, fully-furnished condos will make you feel right at home. The holiday season is in full swing at the Orlando area theme parks. At Walt Disney World, you can join Mickey and friends in the Magic Kingdom Park for a special winter celebration, “Mickey’s Very Merry Christmas Party.” From now until December 22, you can enjoy live entertainment, fireworks, and a holiday parade. There will also be an enchanting performance with characters from “Frozen” being held on the Castle Forecourt Stage. Epcot Park is celebrating “Holidays Around the World.” Discover the holiday traditions of the 11 World Showcase nations as you are surrounded by the sights, sounds, and flavors of the season from cultures around the globe. This event is going on until December 30, 2016. Universal Studios Orlando will continue their Macy’s Holiday Parade through January 1. If you missed the New York Thanksgiving Day Parade, this is your chance to experience it in Florida. Many of the balloons and floats are sent straight from New York City to Universal and there is even an appearance from Santa. You can ring in the New Year at Universal City Walk’s EVE event. This jam packed celebration features six awesome City Walk clubs with live bands and DJs, unlimited gourmet food including tenderloin and seafood, Orlando’s biggest dance floor and a stunning light show. Admission tickets required. SeaWorld Orlando continues its Christmas celebration on select nights through December 31. You will find delicious holiday food, stunning live shows and entertainment, holiday shopping, and you can even meet Rudolph the Red-Nosed Reindeer and his friends. You can celebrate New Year’s Eve at SeaWorld on December 31. There will be fireworks, festive entertainment throughout the park, DJ stations, craft beers and delectable bites. Come see for yourself why we are a designated “Disney World Good Neighbor Hotel” and highly rated on websites like Trip Advisor where we were voted Trip Advisor’s Travelers’ Choice Winner in 2015 for ‘Best for Families USA’ and Trip Advisor’s 2016 Certificate of Excellence. This is the fifth consecutive year we have won Trip Advisor awards. According to the Orlando Regional REALTOR® Orlando home sales had a 7% increase in November and a 9% increase in the median price. The average interest rate also increased. There was an 18% decrease in inventory compared to November 2015. The median price for overall sales increased 8.7% from November 2015 but was 2.44% below the October 2016 median price. The year-to-year median price of normal sales saw a 5% increase. When compared to November of last year, the median price of single family homes increased 10.79% and condos increased 16%. You might also like to know that for a limited time, the Resort Developers are offering ours buyers two options when you purchase a condo-hotel unit at this award-winning Resort. Seller Financing – Pay 30% down and enjoy 5% interest for 5 years (amortized for 30 years) and no points. Lease Back – If you prefer a certain return, lease the condo back to the Developer and enjoy a 6% return for 2 years in addition to the use of your condo for up to 2 weeks per year. Owners will receive a deed to their condominium, and they have the option of utilizing the Resort’s on-site, professional property management company. When you are not using your condo, management can rent it out for you and this will help off-set your expenses. The superb location, excellent amenities, award-winning reputation, and high occupancy rate makes this a great investment and a wonderful place to stay. With over 20,000 investment homes to choose from send us your Custom Property Search Request Today! 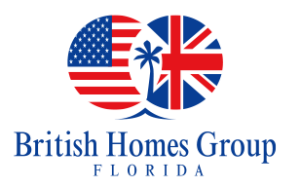 Serving UK and International Villa Owners and Property Investors in the Walt Disney Area of Central Florida For Over 30 Years!